Slice each potato lengthwise, then cut each half into 3 wedges. In a large bowl, toss together the potatoes and the rest of the ingredients except the water. 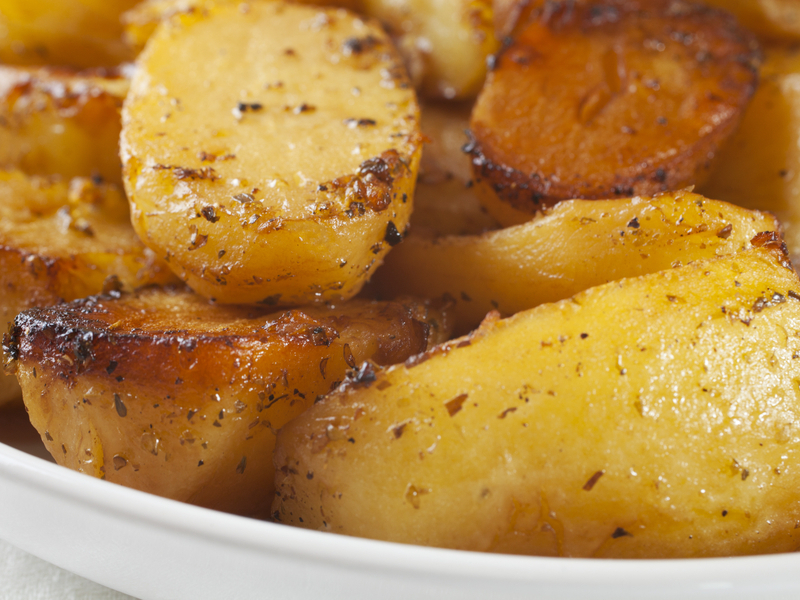 Move the potatoes around until each wedge is well-coated in oil. Place the potatoes into a large, shallow baking dish(about 9 inches by 13 inches). Arrange the potatoes evenly on the bottom of the baking dish. Pour the water onto the potatoes. Bake for 45-60 minutes or until the potatoes have golden edges. Add more water if needed. February is Heart Month, a time to bring attention to the importance of cardiovascular health, and what we can to reduce our risk of cardiovascular disease. Heart disease affects approximately 2.4 million Canadian adults. We can all reduce our risk of heart disease eating a healthy and balanced diet filled with home-cooked meals including whole grains, vegetables, and lean meats or fish.